DairyBiss had successfully conducted its second gender study workshop. On the 14th & 15th of December DairyBiss successfully conducted its second workshop focused on Gender study ,its main goals being to promote gender equality ,to find results it was conducted by the means of focus group discussions and also used data presentation and analysis at the ambassador hotel in Adiss Abeba. The almost full day workshop program was conducted by Dr Hirut Haile, Abebe Tessema, Suzan v/d Linden ,a data analyst by the name of Gizaw Legese was there to give a presentation and had participants of about thirteen DariyBiss advisors and Mr. J.W.Nibbering from the Royal Dutch embassy also participated ,their main general focus being on the development of Gender equality with in DairyBiss. Certificate being awarded to the advisors that contributed. -The evaluation which is mostly qualitative data and its collection process. -Validation of the data and what the data tell them. 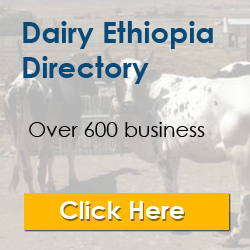 -What are the gender focal points for the advisory work in DairyBiss? -Which issues they need to be researched further? -How to return study results to the involved farms, as they are the owners of this information? The meeting lasted for two days and before its conclusion collected and displayed and dealt with many of the critical and important data with the help of the advisors and helpful suggestions and opinions were also shared by the participants, they also discussed important plans for the future. Finally they were given certificates for their efforts by Mr.J.W.Nibbering.